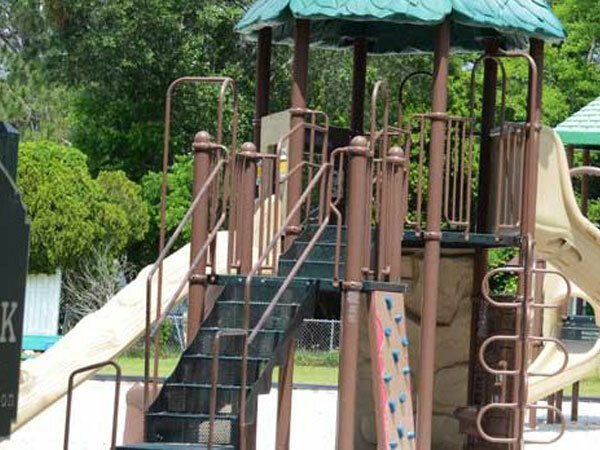 Baker Park is a medium sized neighborhood park located on 2.5 acres in Baker Subdivision. 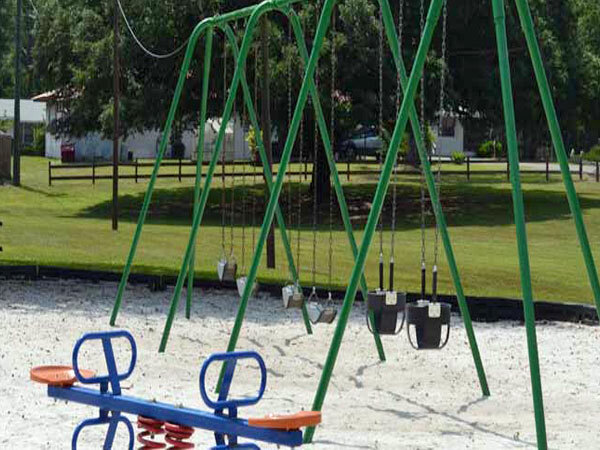 Mrs. Bernice Baker gave the land when the subdivision was originally developed and Suwannee Parks and Recreation received a $50,000 FRDAP grant to give the park a facelift in 2005. There is now a playground for both ages 2-5 and 5-12 as well as swing sets, benches and 2 acres of open green space for other activities. 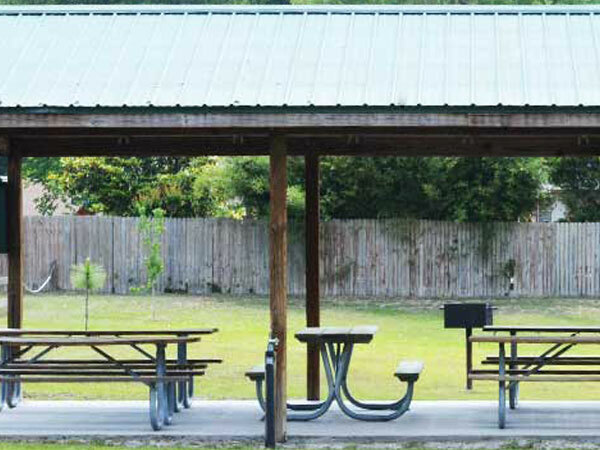 It also features the Blake Pavilion, a covered picnic pavilion with 4 picnic tables named after former City Councilman and current resident of the neighborhood, George Blake, for his many years of service to the citizens of Live Oak. One of the most popular attractions at the park is the 2/3 mile long concrete walking trail, complete with four fitness stations along the path. Other amenities at this regional park include 2 tennis courts, 5 lighted batting cages and baseball and softball bullpen area, concession stand with shaded porch, restrooms and a 3500 sf concrete skatepark.